Congratulations to this year’s outstanding golfers and Coach Dodson! LCCS Golf consisted of a team of five players (Caden Price, Caley Boyd, Luke Cummings, Zach Canady, and Derek Earheart) and two medalists (Cade Hollingsworth and Reece Westby). We came in second place at the District Tournament, six of our seven were in the top 15, and all seven members of LCCS Golf qualified for the state tournament! 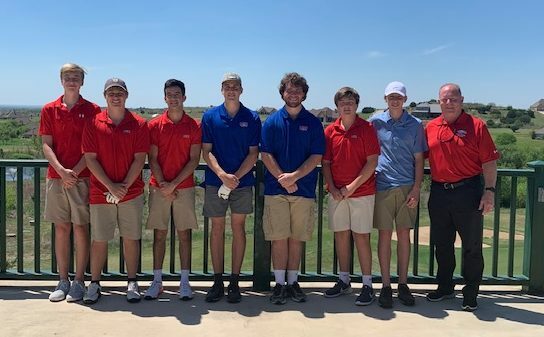 At the TAPPS 3A State Golf Tournament held in Killeen, our team placed 5th overall, and we had two members who medaled – Caden Price placed 7th and Derek Earheart placed 5th! It was quite an impressive year for this group. Way to go, Eagles!